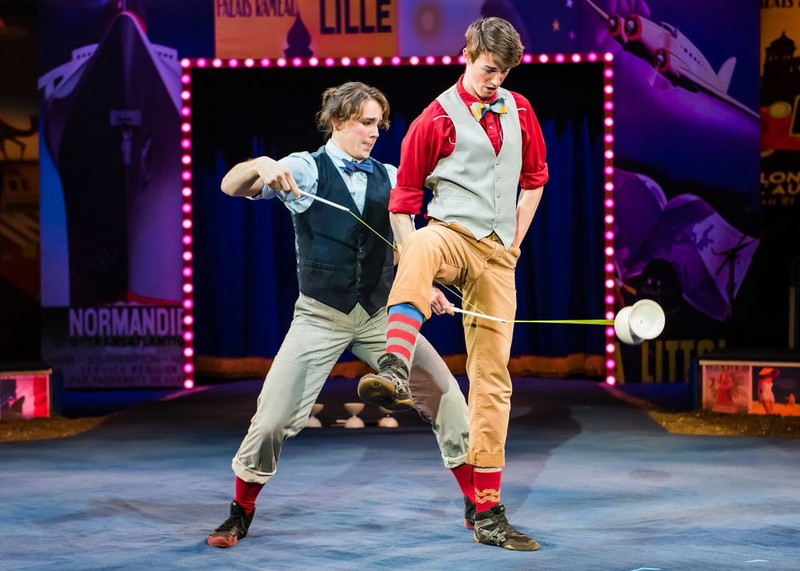 It was a big night under the big top as Circus Now together with the Big Apple Circus, in association with Executive Producer and Director Jonathan S. Cerullo, JSC Theatricals, presented the 2nd Annual Celebration of American Circusat the Big Top at Lincoln Center on January 5, 2016. 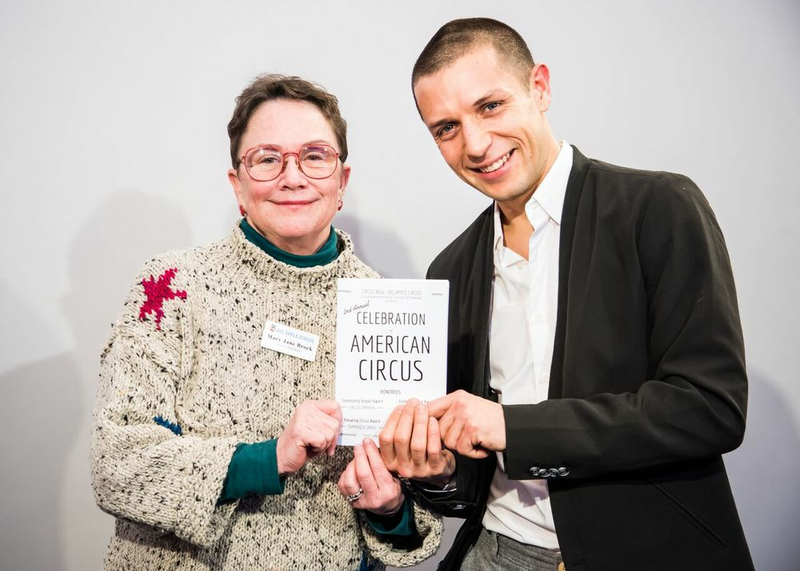 For the second year, the Celebration of American Circus boasted an impressive roster of honorees, all of whom have spent decades furthering the appreciation of circus arts in America. Four prominent artists and organizations were recognized for distinguished achievements in the American circus arts. Bill Irwin received the Evolving Circus Award from his Old Hats costar David Shiner. This award is given annually to an individual whose personal and/or professional contributions have made a significant and permanent impact on the circus field in America, with specific consideration of how the recipient's work has influenced the perception of the circus arts by the American public and the arts and entertainment industry. 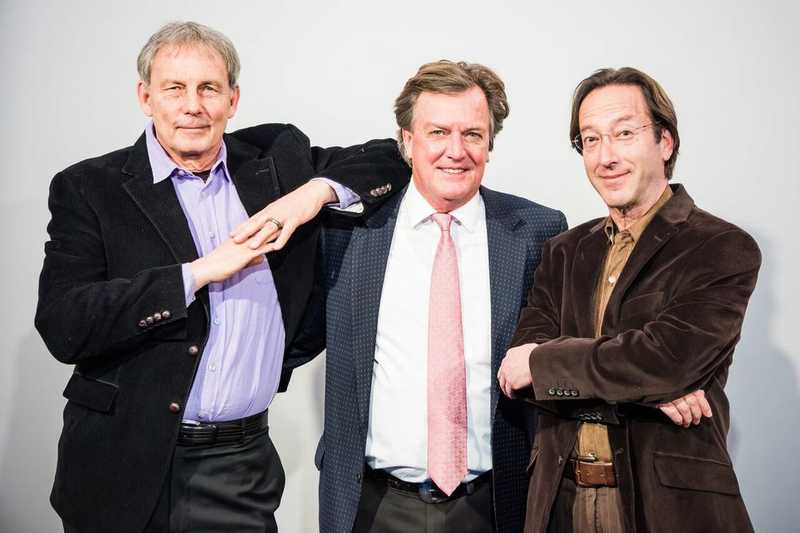 Irwin and Shiner will entertain Old Hats audiences January 26 through March 3, 2016, with a Thursday, February 18 opening night at The Irene Diamond Stage at The Pershing Square Signature Center (480 West 42nd Street between 9th and 10th Avenues). Circus Smirkus, Vermont's own award-winning international youth circus, received the Community Impact Award from Preston Scott. This award is given annually to a circus artist or organization that has succeeded in harnessing and demonstrating the power of the circus arts for community engagement and social good, and in bringing diverse audiences together through quality programming. Since 1987, the company has promoted the skills, culture and traditions of the traveling circus, inspiring youth to engage in life-changing adventures in the circus arts. Rob Mermin, the founder of Circus Smirkus,ran off to the circus in 1969. He studied mime with Marcel Marceau and Etienne Decroux, and clowned with circuses throughout Europe, Scandinavia, and the Soviet Union in shows including Britain's Circus Hoffman, the Hungarian State Circusz, Sweden's Circus Scott (performing Karl Kossmayer's Comedy Mule Act), circus buildings in Russia, and three years (1973-75) in Copenhagen's circus building with Cirkus Benneweis. In 1995 Rob was co-director of Ringling's Clown College. In 1987 Rob founded the international Big Top touring company Circus Smirkus in Vermont. Rob has authored two books on Circus Smirkus: A True Story of High Adventure & Low Comedy. 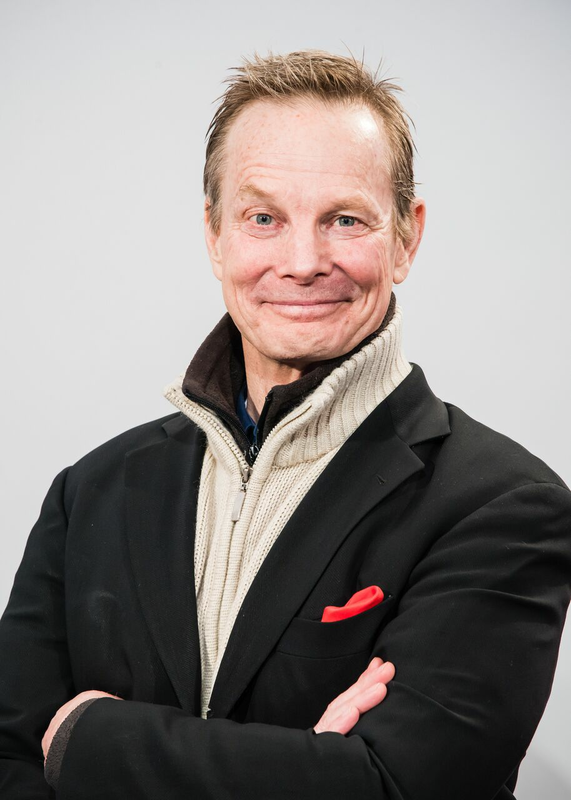 Ed LeClair, Producer and Executive Director of Circus Smirkus,has 35 years of business and nonprofit performing arts management experience, holding the position of Producer, Executive Director, or General Manager for four companies. 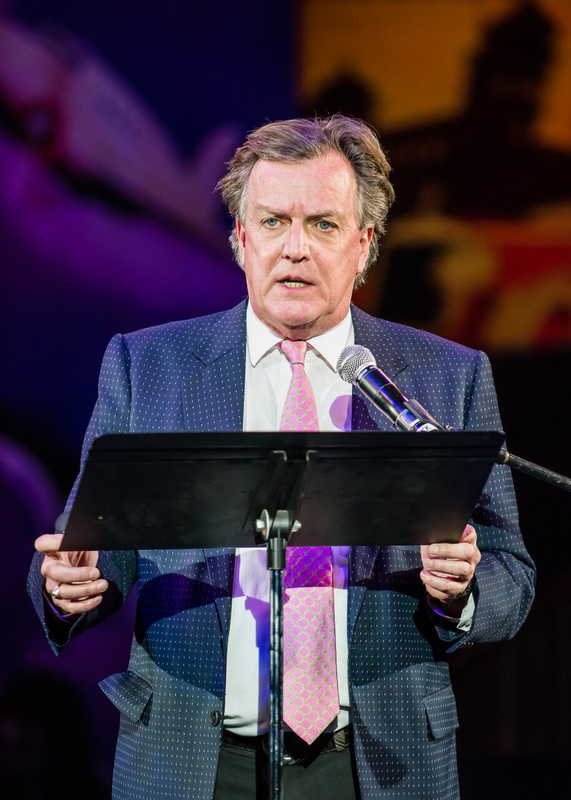 He has produced the last thirteen tours for Circus Smirkus, presenting over 500 shows. 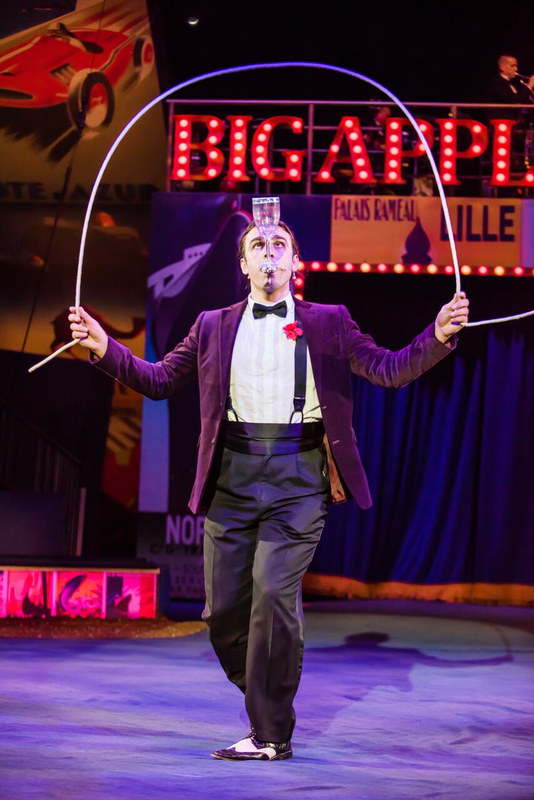 Since his joining Circus Smirkus in 2003, the organization has grown rapidly to become one of the top 100 companies in Vermont. Under his direction Circus Smirkus and its performers have been featured on PBS, "The Martha Stewart Show", "Fletch", "America's Got Talent", and The Toronto Film Festival. 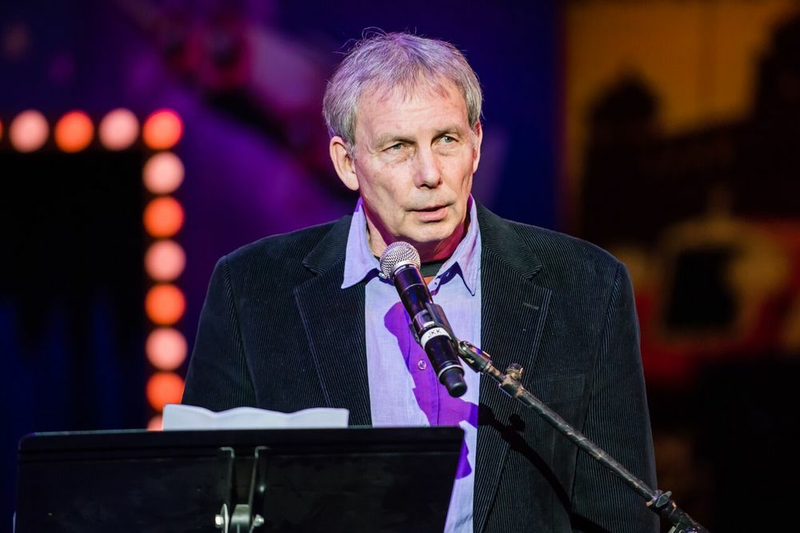 As Executive Director, Ed has continued Circus Smirkus' longstanding tradition of cultural exchanges, initiating partnerships with circuses in Columbia, Mongolia, Ethiopia, Indonesia, Cuba, and France. Ed holds an MBA from the Tuck School at Dartmouth, and a Bachelor of Science in Mechanical/Nuclear Engineering from the University of Arkansas. He studied and performed the Japanese art of Taiko drumming for 12 years and toured Japan with Vermont's Burlington Taiko. Duncan Wall, Creative Director of Circus Now, presented performer and circus history writer Dominique Jando with the Elevating Circus Award, given annually to an individual or an organization who has made a lasting contribution to increasing public awareness about the beauty, artistry, creative potential of the circus arts through their body of work, with particular attention paid to interdisciplinary collaboration or expression. Jando began his involvement with the performing arts more than five decades ago in his native France, when he first stepped into a circus ring as a clown at the legendary Cirque Medrano in Paris. Later he pursued an artistic and administrative career in both the theater and the circus. In 1974, as General Secretary of the Paris Cultural Center, he participated with Alexis Gruss in the creation of France's first professional circus school, and of Le Cirque à l'Ancienne, which eventually became the French National Circus and is considered the catalyst of the European 'New Circus' movement. He moved to New York in 1983 to join the Big Apple Circus, and served as its Associate Artistic Director for nineteen years. He then worked as Creative Director of Circus Center in San Francisco, California. He is now an independent circus arts consultant and writer, and is Vice-President and Artistic Director of Lone Star Circus® in Dallas, Texas. He is also Founder and Curator of Circopedia.org, an international online circus encyclopedia funded by the Shelley and Donald Rubin Foundation. A circus and popular entertainment historian, Dominique has published several books and written many articles on these subjects, both in Europe and the US. The Russian translation of his Histoire Mondiale du Cirque is used as a textbook at Moscow's Circus and Variety State College and GITIS theater institute. He often lectures on circus and popular entertainment, has taught classical clowning at Circus Center's Clown Conservatory, is the International Circus Consultant for Guinness World Records, Ltd., and is a founding member of the Festival Mondial du Cirque de Demain, an international circus competition that has been held each winter in Paris since 1977. He has served on the juries of international circus festivals in Europe, Russia, Mexico, and Israel. Founder & Associate Director of Circus Sarasota Dolly Jacobs presented an emotional Lifetime Achievement Award to Hovey Burgess. This award is given to an individual artist, troupe, or company whose overall contributions to the field and community are substantial, undeniable and significant. Mr. Burgess, recovering from a recent injury, was wheeled onstage by Big Apple Circus clowns Joel Jeske and Brent Mc Beth for a victory lap around the ring. He ended his speech by addressing the audience "If you love circus, then I love you." Born in Middlebury, Vermont in 1940, Hovey Burgess will complete his fiftieth (50th) year of teaching circus techniques for actors at New York University's Tisch School of the Arts this spring. This summer he will hit the "sawdust trail" for his twenty-sixth season with St. Louis-based Circus Flora. Hovey Burgess is author of Circus Techniques with photographs by Judy Finelli. He has written for TDR (Tulane Drama Review) and Spectacle. He served as circus choreographer for Robert Altman's film Popeye with the late Robin Williams in the title role. From Juilliard's Drama Division to Ringling Bros. and Barnum & Bailey Clown College, Hovey's teaching career has spanned the United States, from Maine to California and from Washington State to Florida, as well as Canada and Israel. Previous honors include City Lore's People's Hall of Fame; International Jugglers Association's Excellence in Education Award; Red Skelton Award for Teaching and Mentoring Clowns; Golden Nose Award for Lifetime Achievement; and Burlesque Idol's Best Dressed Award. Spotlighting the thriving state of the circus arts across the nation, the evening also featured performances from a variety of breath-taking acts, including aerial contortionists Anna and Emily Venizelos, a Diabolo Duo Act performed by Sawyer Oubre and Liam Gundlach, and Big Apple Circus' own Sergey Akimov on the aerial straps. The evening was conducted by Emcee Thom Wall. A "Master of Modern Vaudeville," Wall has wowed audiences around the globe. With a sharp wit and sharper knives, Thom juggles, balances, and dives his way through exciting and fast-paced acts that astonish and amaze. 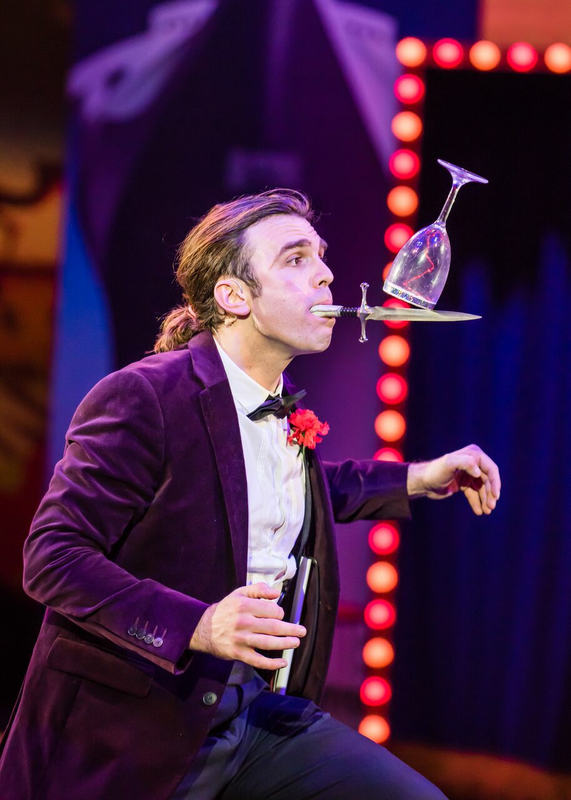 As one of the last great American gentleman jugglers, Thom presents an elegant show with nuanced comedy and some of the most unusual tricks seen today. Thom is a complete variety performer, finely tailoring each performance to engage and surprise his audience, resulting in a unique and refreshing experience each time. Hailing originally from St Louis, Missouri, Thom regularly performs internationally. In addition to appearances in Hong Kong and South Korea, he toured with Cirque du Soleil's show Totem, where he juggled for thousands each night on tour across the US, Canada, and New Zealand. Thom has won awards internationally for his circus performances, notably the 2015 "People's Choice" Special Prize at the Riga International Circus Festival in Latvia, the Bronze and Silver medals at the International Jugglers' Association Senior Stage Championships (one of which was awarded for the first mouthstick act ever to receive an award in the organization's 67 year history), and "Best of the Fringe" for his duo act "The Dinner And A Show Show" at the 2014 Kansas City Fringe Festival. He has had the pleasure of performing for dignitaries and diplomats worldwide. Thom is a graduate of the New England Center for Circus Arts (NECCA) in Brattleboro, Vermont. When not on tour, he coaches aspiring circus artists at NECCA and regularly teaches workshops worldwide.